I read about it here, and the main story is here. I’ve been looking for video of the fish building some of this palace, and so far I’ve not found any on the web. ** There does not seem to be a scientific report yet. So I am still a little wary. I contacted a friend, Richard Francis, former marine biologist and now author, who knows a huge amount about fish. He says he’s never seen anything so finely structured, but pointed me towards the closest analogue he knows. These towers below are built by an African cichlid fish. They are nearly as impressive, in a different architectural style. 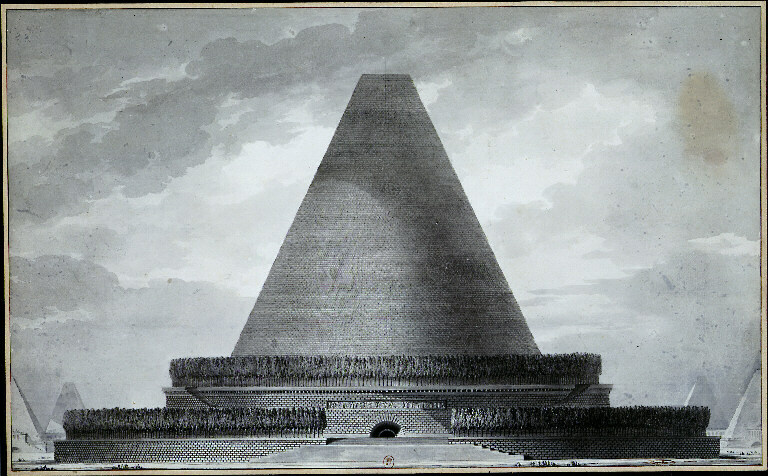 … something like the style of the 18th century visionary Étienne-Louis Boullée. [W]e head for the largest natural mating arena ever discovered, a 2.5-mile-long cichlid city built out of sand castles and defended by 50,000 males dressed in brilliant blue. The males set to work building their sand castles. 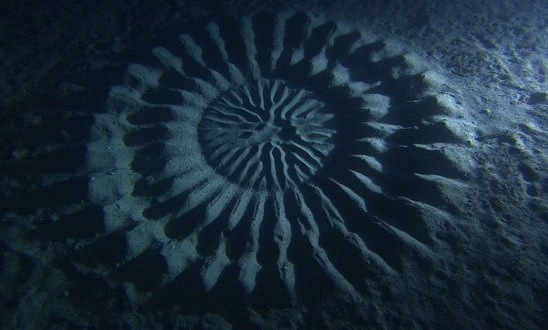 The shape of these structures is unique to each species, so the lake bottom is trenched and mounded into a fantastic array of craters and cones. Pits two feet deep and ten feet across lie next to towering volcanoes about two feet high and seven feet in diameter. 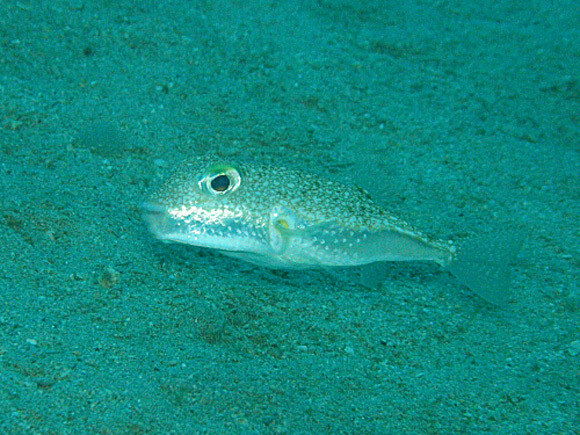 The picture of the cichlid nest came from here, the Boullée one from here. 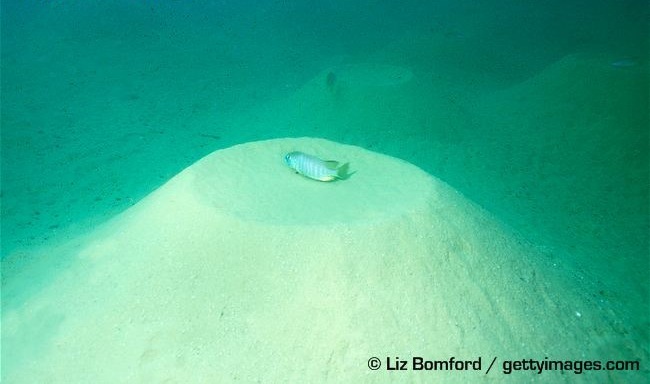 A scientific article about the cichlid towers is here. ** November 2014: some video has finally appeared, from the BBC. It’s here. Posted in The Sexes, Vertebrates and tagged architect, fish. permalink. I wonder how long it takes for a cichlid to build one of these, and do they steal them from each other and fight for ownership? I am curious about this too. 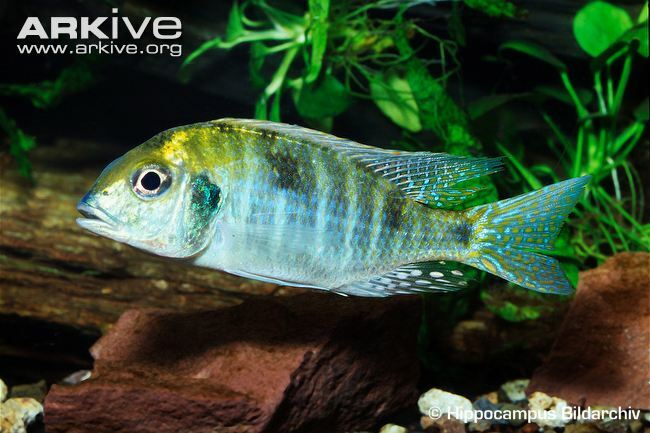 From a quick look, it seems that these are generally pretty aggressive fish and I’d expect some competition of this kind (I’ve asked my cichlid expert, Richard Francis). Something that surprises me is how few photographs there are on the web of these towers. The photo I posted is the only good one I’ve found. . .